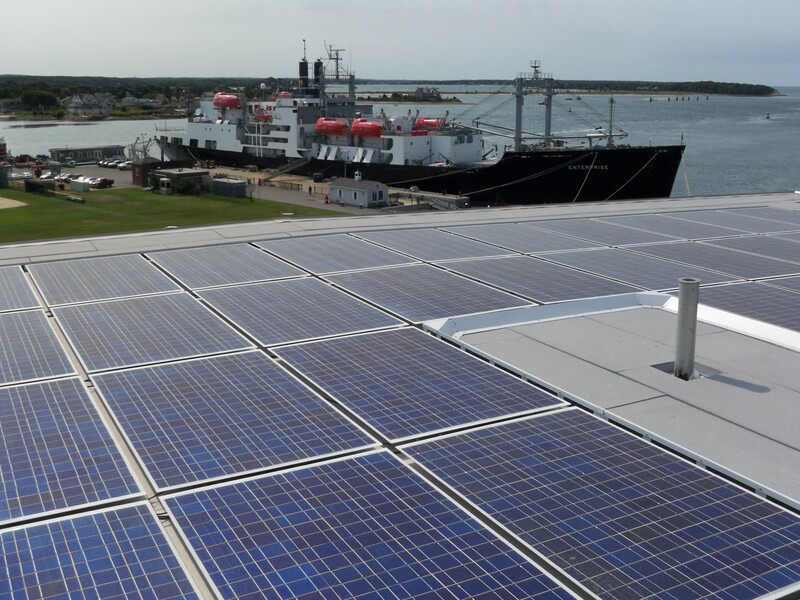 Massachusetts Maritime Academy is located at the western mouth of the Cape Cod Canal. 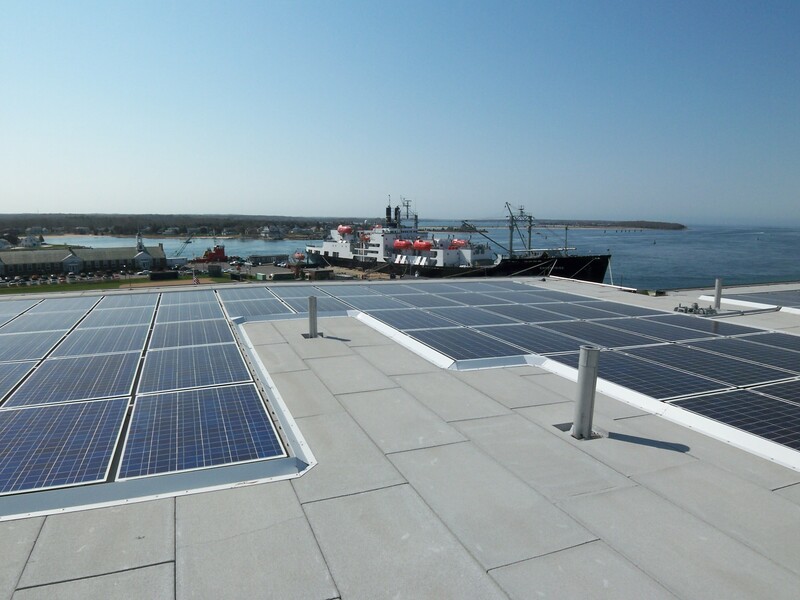 The campus is surrounded on three sides by ocean and has plentiful wind resource. 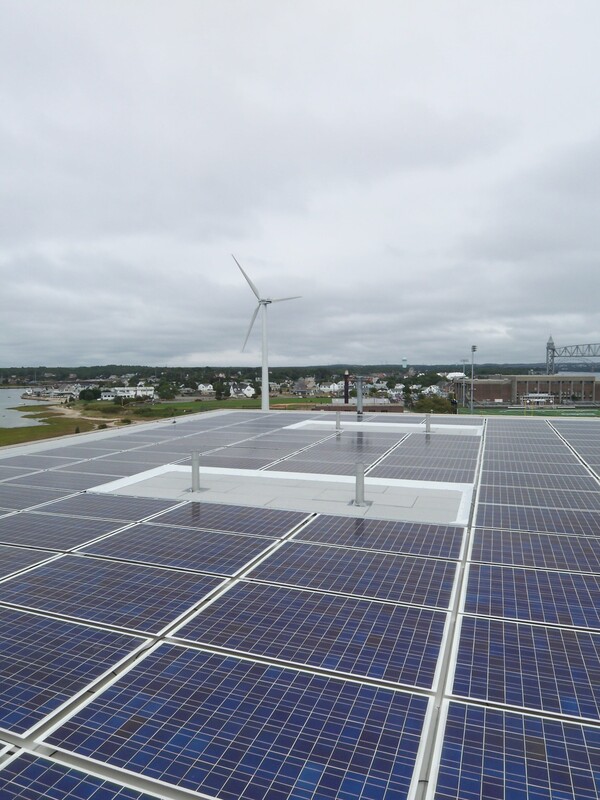 SDA was commissioned to provide design and engineering services for a utility-scale wind turbine interfaced with the 4.5kV campus electrical distribution network. 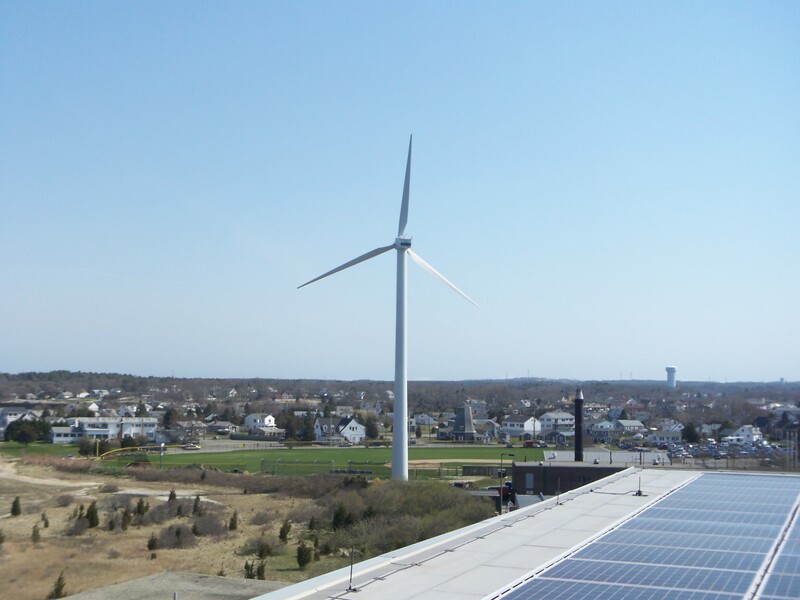 MMA is the first college/university in the US to obtain a major portion of their electricity directly from wind energy. 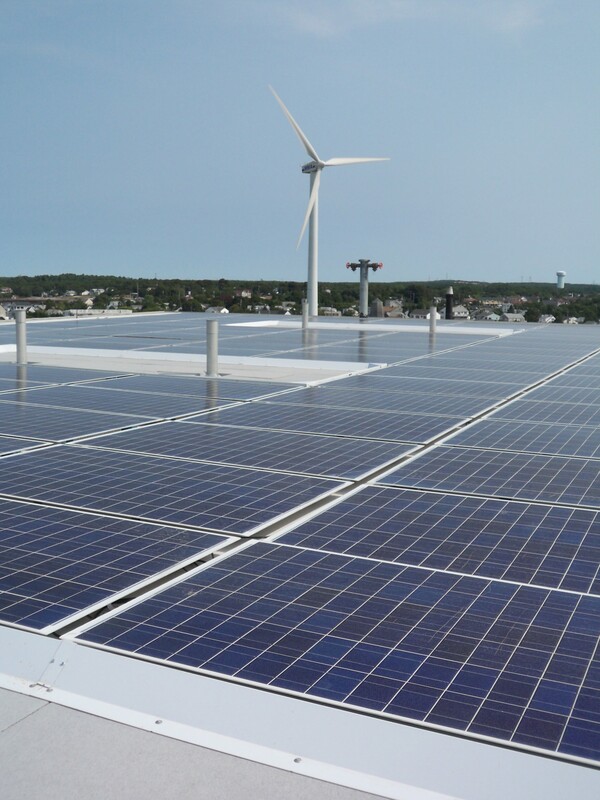 The campus is master metered and the wind turbine displaces utility-supplied electricity at the retail rate providing a simple payback of less than 7 years. 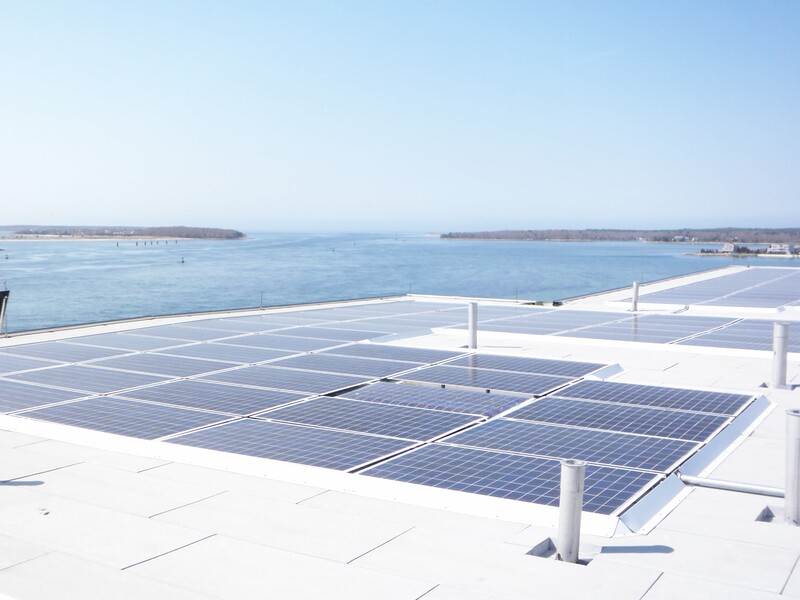 SDA was then asked to help MMA field rooftop solar electric arrays and design solar lighting for the campus walkways. SDA provided full design and engineering services, complete construction documents, code and utility liaison, permitting and procurement assistance and technical support during construction as well as independent system commissioning services to the Academy.